The manner of education in college is quite different from high school. A lot of college professors give lessons to student in a different approach. Often time they just provide a list of reference where students can read lessons about the subject. College professors, most of the time impose personal research and study to students than an in depth teaching class. This is one of the major reasons why a student flunk to some college subjects like Anatomy & Physiology. Preparing for the next day’s lessons would be the wisest thing to do. Read and study the lessons in advance. Studying in advance will provide you more time to deeply learn the lesson. This will also allow you to coup up with the professor’s lesson for the next day. Another effective way for learning lesson in difficult subjects like Psychology is thru conducting group studies. Students help each other in studying the lessons in the subject. They can share thoughts and ideas about a specific topic in the lesson to other students. You can also hire a highly knowledgeable individual that can help learn and study your lessons well. Hiring tutors can reinforce your learning about the lessons in Anatomy & Physiology or Psychology subjects. They can also provide you with an in-depth teaching method that you need in order to fully understand the lessons in difficult college subjects. There have been a lot of criticisms that Psychology has received over the years, as a college major and as a career path. Reasons ranging from “it’s not useful” to “It’s just easy and fun” as a college major. People also criticize Psychology as having a low pay and few jobs. But there are many positive reasons to study Psychology, even if you do not plan to become a Psychology major or work in a Psychology-related profession. Reasons that go beyond career possibilities because it is all around you and touches on every aspect of your life. One of the reasons to study Psychology is that it can help you better understand yourself and the people around you. You might find yourself gaining a deeper understanding of the many influences that have impacted your own life because you will learn more about how development occurs, how personality forms, and how society and culture impact behavior. Moreover, you might be able to understand the influences and motivations when someone behaves in certain way. 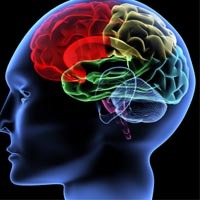 Psychology’s emphasis is on research methods and statistics. This will give you a good grasp of these methods that will contribute greatly on the success of your career, regardless whether you pursue a career in Psychology or somewhere else. You will also develop your critical thinking skills by studying Psychology. A great deal of topics such as the scientific method, decision-making, and problem-solving are what you study in Psychology. These topics help hone your ability to think deeply and critically about different issues, which is considered to be essential to being an educated person. There are still a lot of reasons to study Psychology. At best, it can help you better understand who you are, how you will be, and your interaction with your family, friends, and strangers. Aside from that, graduates with Psychology degrees end up in a wide array of occupations. Despite the coming completely from different disciplines, Psychology has a huge relevance on the nursing practice. Many aspiring nurses have wondered the need fro them to devote hours in studying Psychology. They don’t realize that both are interrelated with each other. Nurses work in a setting where they’re required to interact with other professionals in an effort to bring the best quality care for their patients. They need to fully understand how other people behave and act in certain situations – this is where Psychology comes into play. In managing patients with different illnesses, both nurses and psychologists not only work in understanding the physical pain associated, but also change their thought and attitudes to improve well-being. When assessing a patient’s condition, nurses also consider how patient’s respond to their illness. Some patients are optimistic and easily cope with their illness, while others have a negative reaction where they become angry and stubborn. Nurses may find it very difficult to handle such patients and need to include them as part of their evaluation of the patient. With the help of psychology, nurses will know how to interact with their patients based on different factors such as gender and age. For instance, young patients may be more afraid than adults. They may have difficulties in understanding their illness. A nurse can apply his knowledge of child development and psychology and relate to the young patients in a way their apprehensions are alleviated. Thus, psychology can help improve the nurse and patient relationship. As a result, patients can openly interact and communicate with them and inform them about their specific needs. With psychological knowledge also, nurses are able to get the trust of their patients. This makes the patients more responsive with the instructions they are given. Sometimes, they even take a positive role in their own wellness. Psychology is basically the study of behavior, mental operations and performance of people. It is also the connection of educational, theoretical and applied science. Students who studied psychology devotedly were able to understand the compound process of the brain that commands the actions of all human. They also have come to realize that they can make use of psychology in understanding the behaviors, situations and everyday life of all the people. Why Learning Psychology is important? 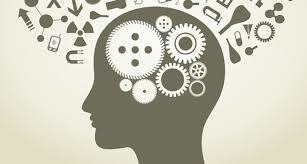 Studying psychology will allow students to understand their own behavior, emotions and ideas. They will also realize that studying the principles of psychology will allow them to assess, evaluate and provide solutions to all unwanted emotional situations. Most famous psychologists have discovered that humans are involved in all kinds of communication. Studying psychology will allow students to understand that communication skills can improve the effectiveness of human interaction. According to Heidelburg of University of Ohio, studying psychology enables students to understand the behavior of other people. They will have the ability to read people’s minds and emotions. Understanding human emotions can be hard, but if students can master the principles of psychology, it will be easier to understand human actions. In addition, it can also improve student’s ability to help others in dealing with their dilemmas. Students who are so devoted in studying psychology have one thing in common. They want to become the best and effective psychologists. They also know that there is an urgent need for more psychologists since there are increasing numbers of individuals with mental disability. Right after mastering all theories and principles of psychology, students will have the chance to prepare themselves in obtaining a certification or license. Learning the basics of psychology is important because it can be applied and used to countless life experiences. Psychology has its origins distributed in every single industry. It has become crucial to study the human mind for the better result of operations carried out on a regular basis. It has affected many thoughts and is known to have a great impact on healthcare as well. Psychology and healthcare are leagues apart but at a certain level, they are connected. Nursing concentrates entirely on assisting individuals recover from serious and chronic diseases, while psychology concentrates on dealing with the emotional issues of individuals. Nursing staff have to understand the psychology of their sufferers and help them psychologically for a rapid restoration. Nurses have to manage sufferers during severe healthcare concerns and deal with their emotions and actions. Patients begin to depend on nurses who try to reduce their emotional stress. It has been seen in many cases that physical sickness results in emotional interference. At this stage, nurses have to be sympathetic and understanding. Nursing staff are trained in a manner that they help sufferers psychologically by dealing with the emotional changes. Psychology in the healthcare industry is trained intentionally. The modern medical literary works on counseling psychology and clinical psychology helps nurses perform their everyday tasks. They communicate with sufferers on a regular basis and it is easy for them to recognize the signs of emotional disruptions compared to other healthcare employees. It guarantees proper care to sufferers and professional services are given to them. Along the process of treatment, they create a strong relationship with the sufferers as away from home, they expect individuals to be helpful and sympathetic to them. And nurses are trained to do so. Nursing staff have to have some outstanding characteristics such as, tolerance, helpful characteristics, sympathy, love for others and the ability to feel the pain of others. In many ways, psychology has been assisting the healthcare professionals to serve a huge number of individuals.